After 5 days I open my growler and beer still has a head. Drinking Founders Breakfast Stout poured on 10/10/2015. 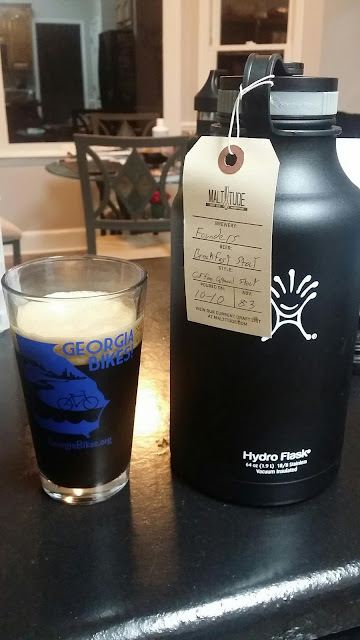 Using my Georgia Bikes pint glass.